Ally and Blake are heading out of the city and into the bush with their move to Watagan Park. This outdoorsy young couple, Blake, 25, and Ally, 23, have dreamt of building a home together; of setting up a place that is uniquely them in an area that embraces their love of nature. Blake works as the licensee of a hotel and Ally is employed in an admin role for a construction company, and while they enjoy working in the inner city on the Central Coast, the pair wanted a place of quiet retreat away from the clutter. “We’re still close enough, but we feel like we can breathe out here,” shares Ally. The couple first learnt of Watagan Park through Blake’s brother, and had their hearts set on it ever since they saw the area. 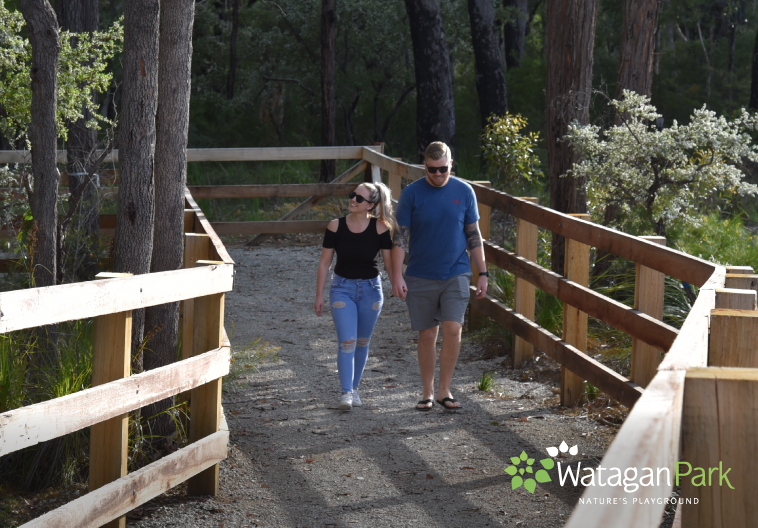 This young pair were also drawn to Watagan Park because of its community feel, and they can’t wait to get outdoors and explore the Watagan trails with their dog. Both Blake and Ally have really enjoyed the process of building their first home, and they can’t wait to join the Watagan Park neighbourhood. “We couldn’t recommend starting a journey and becoming a part of the community here more because we think it’s going to be a really great place to live,” shares Ally. If Watagan Park sounds like the place for you, read more about our new land release here.